Earlier this year we told you about My321Deal -- a new group purchasing website with a kick. When you get friends to register, you'll earn 3% from every daily deal they buy -- forever. And 2% from every daily deal their connections buy. And 1% from every daily deal their connections' connections buy. 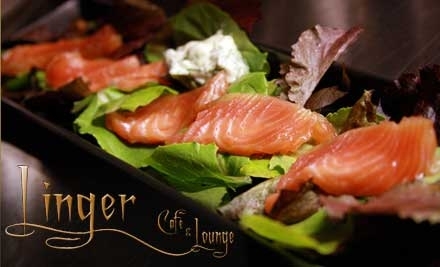 Today's deal is $10 for $20 worth of food and drinks from Linger Cafe & Lounge in Brooklyn! Click here to register and start getting your friends to sign up. A person can only be referred once, so if someone refers one of your friends before you do, they are gone forever!